AYS Insider is our editorial series, which digs deep inside the brains of some of our most inspirational friends. 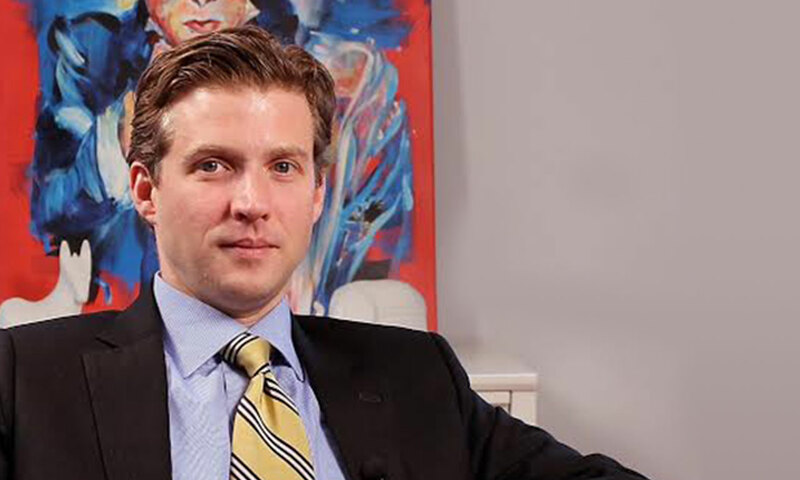 To launch this series, we talked to Alec Ross, the former Senior Advisor for Innovation to Secretary of State Hillary Clinton. Alec was once described as "one of the most creative people probably that the U.S. government has ever known." by U.S. Ambassador to the United Nations Samantha Power. Recognised for numerous accolades including the Distinguished Honor Award, International Development’s 40 leaders under 40 (2010), Huffington Post’s Game Changers (2010), Newsweek’s Digital Power Index Top 100 influencers and ‘one of the best Twitter feeds of 2012’ by Time Magazine, we asked Alec about the most important factors in successful digital strategies, the role of digital in the general election and how to apply a digital strategy in politics to brands. What are the most important factors of a successful digital strategy? The single most important factor is authenticity. When a brand or political candidate tries to be something it is not, it never works. Brands can be modernised and brought to life through digital platforms, but it should be done working with the real heart and soul of the brand. I don't believe that certain brands should not leverage social media - I think they all can. Who had the most successful digital campaign from the last US general election? Why? In the U.S. election, the Obama campaign outdid itself once again because of its application of Big Data. In 2008, the campaign where I ran technology and media policy, the great innovations were social media, technology for organising volunteers and for fundraising. The 2012 campaign did that one better by applying big data to deliver a level of precision in political advertising that was previously unknown. The campaign surveyed 10,000 people PER DAY and then created new set top analytics that allowed the Obama campaign people to reach more people and more of the right people, whilst being outspent by tens of millions of dollars. What role will digital play in our upcoming general election? What are your predictions? Well I have a lot of friends who are going to be involved in this general election and I don't want to tip-off our opponents so let me just say - more data and more creativity. I think there will be both left brain and right brain innovations in this election. It would not surprise me if the technology chasm between the two campaigns was more narrow on this campaign than the last two. There will necessarily be a race to innovate on the technological end of things. Every bit as important will be the kind of creativity brought to the technology --- it will be hard for narratives to break out that describe your candidate and your opponent. To do so will require programming that is clever and original. How do we get more millennials to vote? I think flexible voting times and methods are key. Older generations are accustomed to standing in a queue. Millennials are less tolerant of it. They're used to sitting at a computer or on their mobile and conducting their business there. The best way to encourage more voting is to move voting from old platforms to secure online platforms and for it to not revolve around a single day. In the USA, early voting (being able to submit your vote in the weeks ahead of election day) is growing more common and more popular. If this becomes universal it will do more than anything else to increase political participation. What is the key difference between a political digital strategy and a brand digital strategy? Political digital strategy is really rooted in a very small number of transactions, mostly voting. You are driving people toward a single transaction that may not require another action for years thereafter. Most consumer brands have a larger number of transactions in mind. Truth be told, there are far more commonalities than differences, though. A smart political digital strategy can make for a smart brand digital strategy and vice versa. How can you apply digital strategy in politics to brands? Political digital strategy is very good at setting and selling an identity. It is also good at tearing down the opposition. That may be terribly impolite but it is true. The benefit of that can certainly extend to brands. Brands compete in very competitive information environments and it does not often serve them well to be introverted. Define your brand or it will be defined for you. That is as true in politics as in consumer markets. What are your predictions on the upcoming uk general election? I think this election is going to come down to a street fight. It's going to be fought city by city, community by community, street by street. If I were looking to maximize the potential of technology to advance the electoral interests of a single party, I would invest in two things: 1) applications that would provide intelligence about voter preferences that provided granular data down to each household and 2) I would focus on micro-targeting messages that resonate with key constituencies. Different issues resonate most loudly with different people, and by using 21st century tools to be able to match voters with interests, one can produce more targeted, persuasive advertisements. You’re currently writing a book – how has the experience been and what can we expect? I have spent the last year and a half going from a life of talking, to a life of listening as I study the "industries of the future". If the Internet did more than anything to shape our economic life in the 20 year span from 1994 to 2014 I wanted to understand what followed - what would shape the economy from 2015 to 2025? It has been very difficult and very fun. It has actually made me more optimistic about our future. The things being imagined and invented today that will shape our lives 5 or 10 years from now are fascinating. You must read about it when my book hits the shelves! Alec is currently working on a book, as well as serving as an advisor to investors, corporations, institutions, and government leaders. This interview was re-published by Marketing Magazine.